Innovations in optical fiber technology are revolutionizing world communications. Newly developed fiber amplifiers allow for direct transmission of high-speed signals over transcontinental distances without the need for electronic regeneration. Optical fibers find new applications in data processing. The impact of fiber materials, devices, and systems on communications in the coming decades will create an abundance of primary literature and the need for up-to-date reviews. 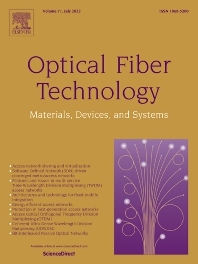 The journal provides valuable information for engineers and researchers in optical fiber technology, in both industry and academia.